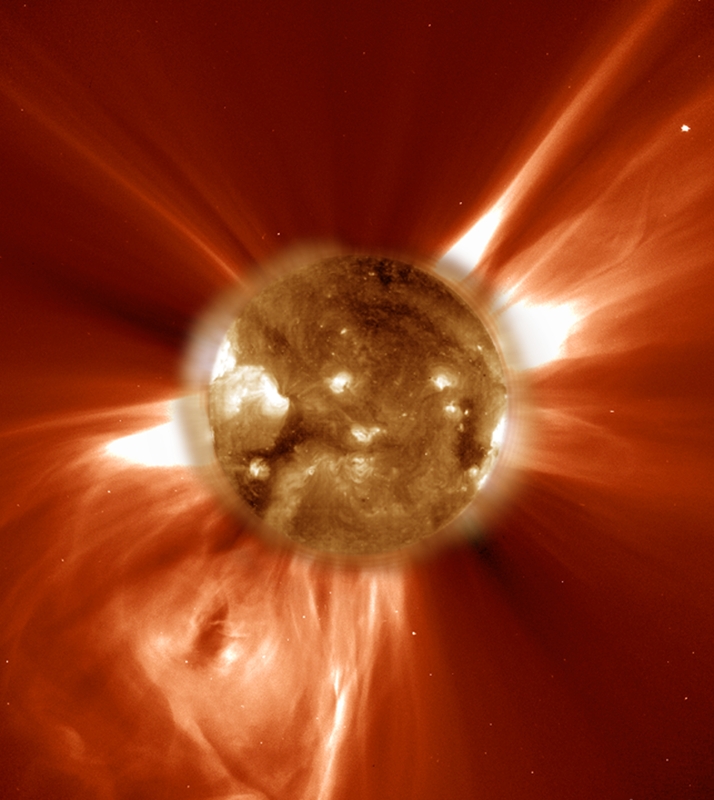 CME blast -- This dramatic coronal mass ejection was captured 7 August 2002 as it blasted billions of tons of particles millions of miles per hour out into space. The image was taken by the LASCO C2 instrument, which blocks out the Sun with an occulting disk so that we can see the fine details of the faint corona. An EIT 284Å image of the Sun itself, taken at about the same time, was enlarged and superimposed on the occulting disk.